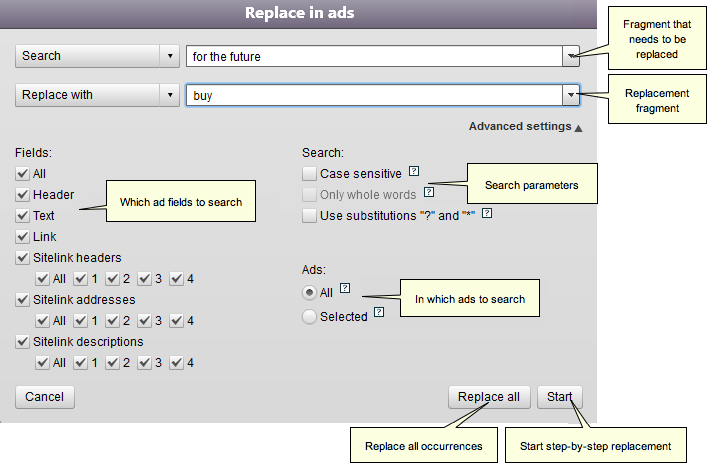 Find and search can be perform either in all ads that are displayed in the Ads tab or only in previously selected ads. In the latter case, select the necessary ads. 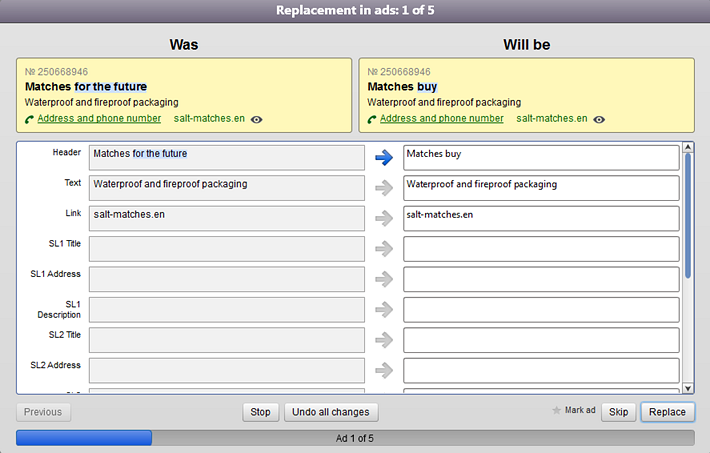 Indicate the replacement parameters in the Replace in ads window. You can search for the fragment at the beginning, end, or in any place of the value field. The new fragment can replace the found fragment or be added before or after it. You can make changes in all (or selected) ads without searching for the fragment. To do so, do not click “Search”. Instead, click “All values”. The new fragment can replace the previous field value or be added to the beginning or end of the value. 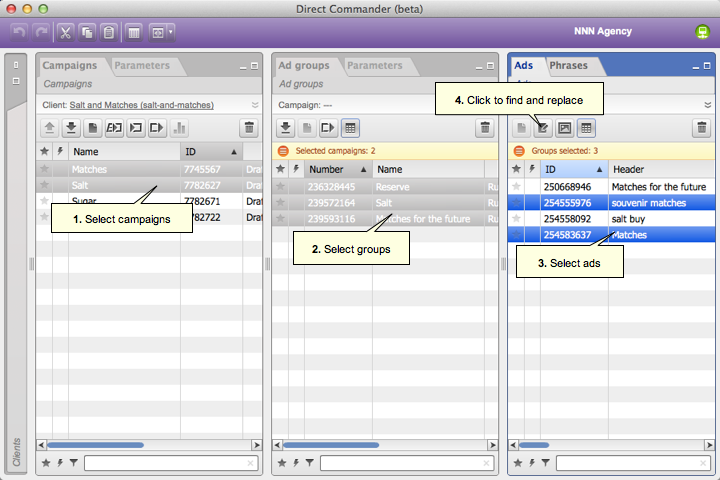 You can specify the set of ad fields and other search parameters in advanced settings. Replacement can be executed in all ads or just in one.